At the start of the school year or anytime after a school break, students may have a difficult time adjusting to a new routine, any changes in the classroom environment or even different students. 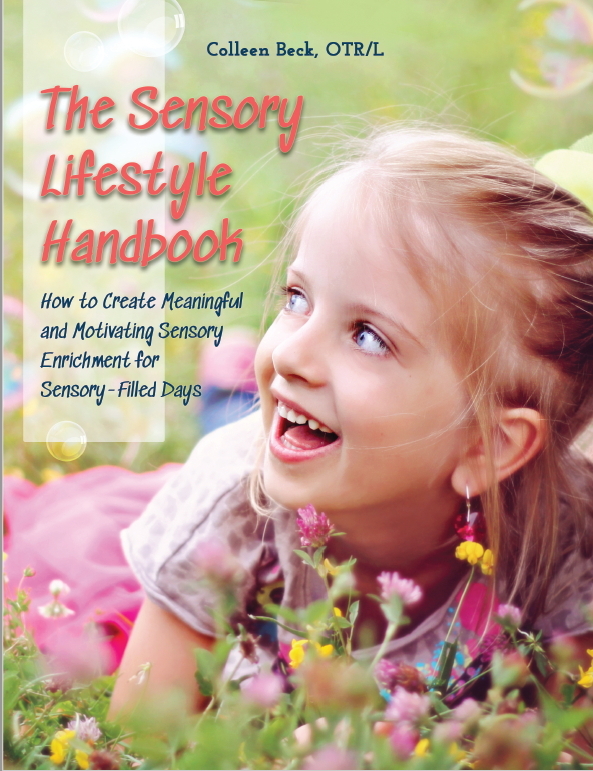 One of the most effective ways to avoid sensory meltdowns is to prevent them from occurring in the first place. 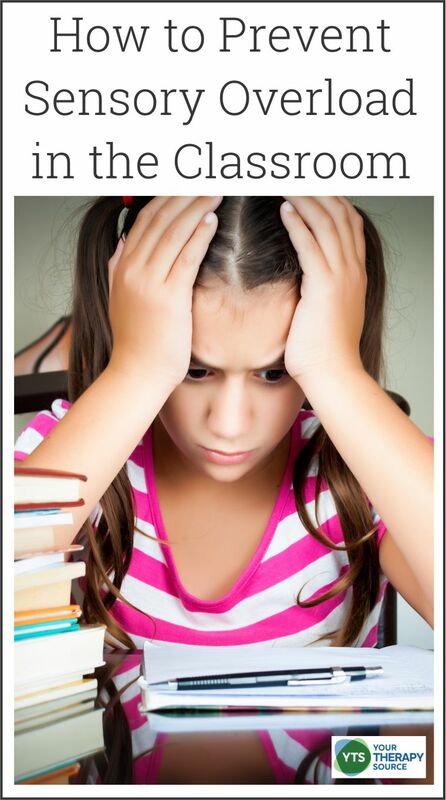 Here are some suggestions on how to prevent sensory overload at school. Of course, these tips are only to provide a general overview. Consult an Occupational Therapist for help on specific students. Take a moment to look around the classroom to determine what changes have been made. Will the students need any environmental modifications right away in order to have their bodies in a ready to learn state? All students benefit from a sensory balanced environment. When teachers practice a universal design approach in the classroom, it helps everyone. approach all students from the front so they can see who or what is coming their way. never force a student to touch anything. if the classroom is using any sort of essential oils or scented sprays make sure all of the students tolerate the scents. offering a quiet space for students to retreat if necessary. keep headphones available for any students if needed to provide favorite music if beneficial to learning. keeping noise at a reasonable level. reduce complicated patterns on the walls or carpets. avoid fluorescent light bulbs that can flicker or make noise. don’t over complicate visuals with extraneous decorations or designs. Keep it as simple as possible. provide frequent movement breaks with the same routine each time so students know what to expect. rhythmic movements such as rocking are calming and may help to prevent sensory overload. proprioceptive activities can help to calm the body and get students ready to work. 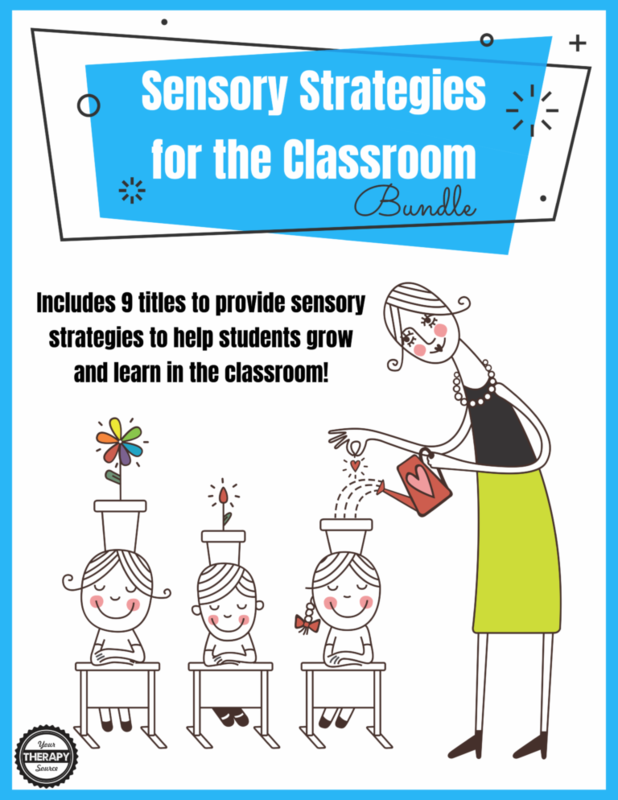 Read more about proprioceptive activities for the classroom. Talk in a low, calm voice. If we start the lesson or activity out with a quiet, low, calm tone of voice children will model our behavior. Minimize your own movement. Stay in one place while you instruct the class so the students can direct their focus to one location. Minimize your own gestures. Try not to only stay in one place but also try to start the lesson out minimizing your gestures. Avoid talking with your hands, pointing and general fidgeting yourself. Change the lighting. If possible dim the lighting to encourage the students to return to a calm state with their bodies ready to learn. Direct the student’s attention to an area that is organized, clutter-free and has limited visual distractions. Perhaps have an area in the room that has decreased visual input. Position yourself in that area so the students can focus their attention directly on you. Set realistic expectations. Make sure students are educated on what your expectations are to maintain a peaceful classroom. Keep in mind as teachers and therapists, students can only sit still for so long. Provide movement and brain breaks throughout the day. Physical activity can help to reduce stress. Be aware that all students are different and certain students may lack the self-regulation skills to remain calm during the school day. Try teaching students some calming strategies for the classroom. Contact an Occupational Therapist for specific suggestions. All of the titles are digital documents and will be available immediately following payment. FIND OUT MORE.